When it comes to outdoor kitchens Houston’s best contractor is Reliant Construction. 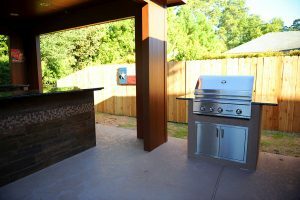 We build outdoor kitchens and patio kitchens, and outdoor entertainment spaces for clients throughout the greater Houston area. Call 281-789-4308 or contact us online to get a free estimate. While the kitchen is often the center of entertainment inside the home, your outdoor kitchen will surely be the center of entertainment outside of the home. The sky is the limit with outdoor kitchens. 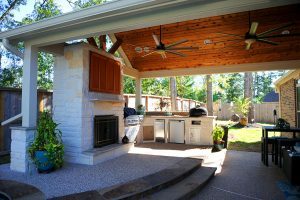 Reliant Construction is dedicated to providing you with your dream outdoor kitchen space. If you do not already have a patio area in your yard, we can construct one for you, custom fit to your design. Contact us online or call 281-789-4308 for a free estimate or to ask questions about outdoor kitchens Houston.